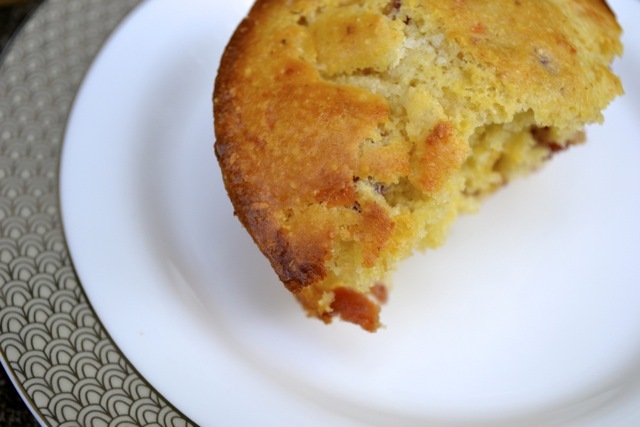 Oil muffin tin – both cups and top area around cups – very liberally with EVOO. 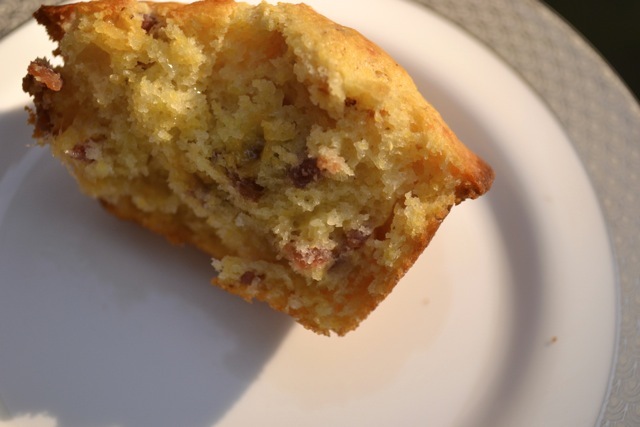 Don’t be stingy here; this is what ensures easy muffin removal and brown, slightly crispy outsides. In a medium bowl, combine first five ingredients. Add chunks of butter, and press/mix with a fork or pastry blender until combined. Stir in milk until the mixture thickens a bit. Mix in cheese and bacon. Add a splash more milk, if necessary. 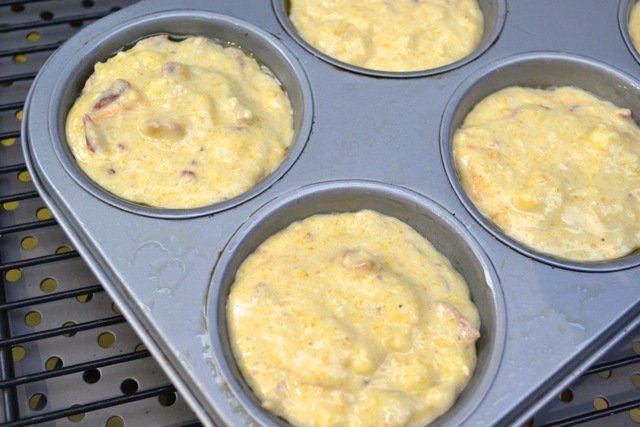 Pour batter into muffin tin, being careful not to overfill. Bake until muffins are golden, approximately 20-25 minutes. 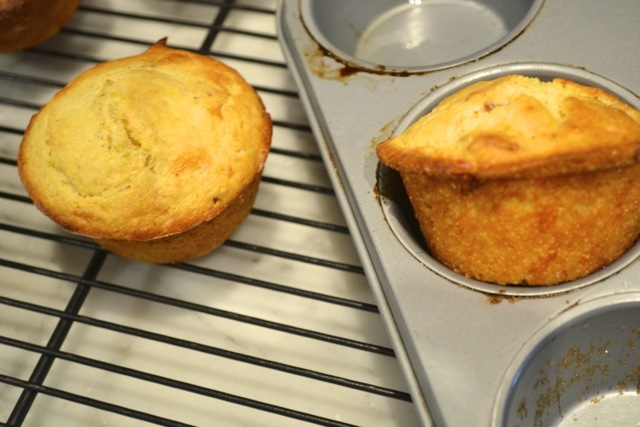 Let pan cool for a few minutes, then remove* muffins. 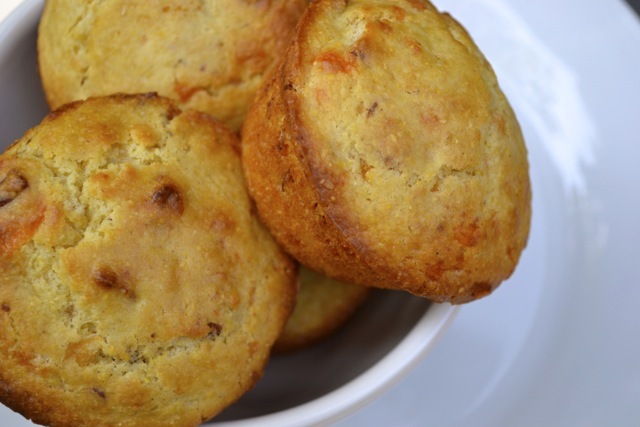 * The easiest way to remove muffins is to turn them, as shown above. 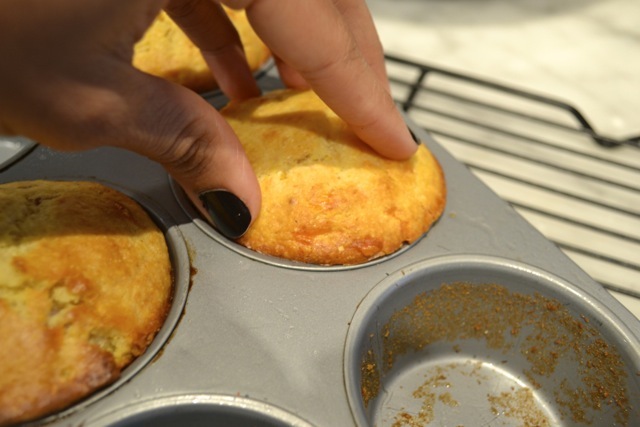 Oiling the pan really well allows the muffins to twist and pop right out.